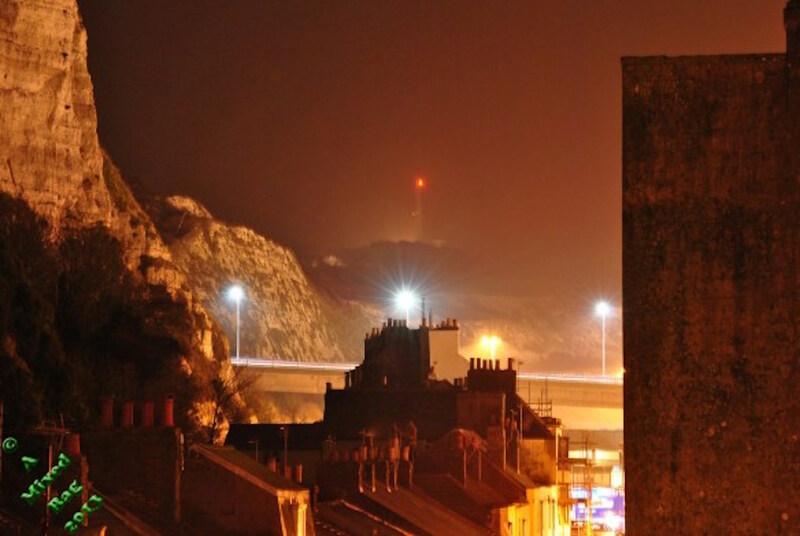 Dave Smith saw the red warning light flashing on Dover Tower. No! The crazy fools had actually done it! It could only mean one thing. War had been declared, and the missiles were on their way. The clock was ticking. Maybe they’d all believe him now. Dave didn’t need to cancel his papers. He didn’t read any. Didn’t watch the news either. Or listen to the radio. Too much bad news! He braved the high winds and ran to his garden shed. Once inside, in a drill he’d practised a hundred times, Dave accessed his secret underground bunker. It was a shame he couldn’t convince anyone else of the dangers, but they all just laughed at him. No one knew of his secure location, and now they never would. Dave looked briefly at the monitors showing his back garden and the famous white cliffs. Everything looked so ordinary and normal. He couldn’t bear to watch the carnage. With a tear in his eye, he shut all the cameras down. A page of the Dover Weekly News blew across his garden. If only Dave had kept his cameras on a minute longer – the headline would have interested him. This story was prompted by Sunday Photo Fiction December 21st 2014, hosted by Al Forbes. Click the logo for more details. To view other entries in this challenge, click the link. Aces with the Twilight Zone ending! Happy Holly Daze and Best of the New Year to you and yours! I’d have to agree. I’m not into modern comedies at all!